Phrasal Verbs in English have long been a fascination. Cleave to means – “to stay very close to someone, or to stay close together.” However the verb cleave means – “split or sever (something), especially along a natural line or grain.” What do you make of that? To change the subject somewhat, I would like to let you know that my most recent delivery of lamb has a lot of side pieces. These are slabs of ribcage that lead up to the much to be desired lamb chops. They need butchering. Each dainty lamb chop has to be er chopped off the continent. I have struggled with this and have often yearned for a cleaver. As you know, the Bride in Kill Bill travels to Okinawa to obtain the ultimate sword. 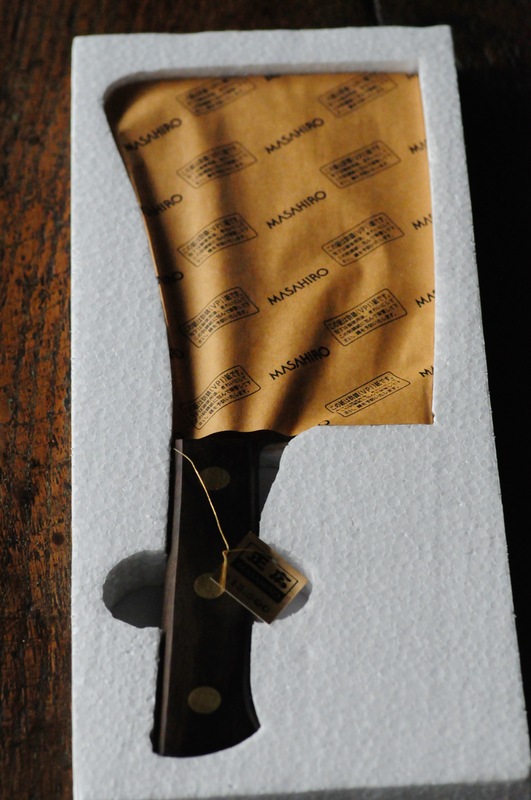 Well, I go to Tabata and purchase a very cool cleaver made by Masahiro sensei. This a real cleaver and I cleave to it. 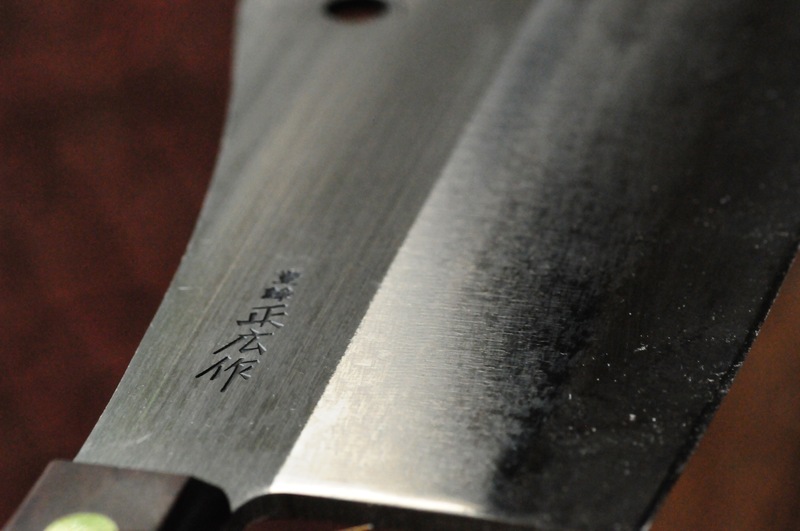 Japanese knifes and cleavers are the best. Why is that? 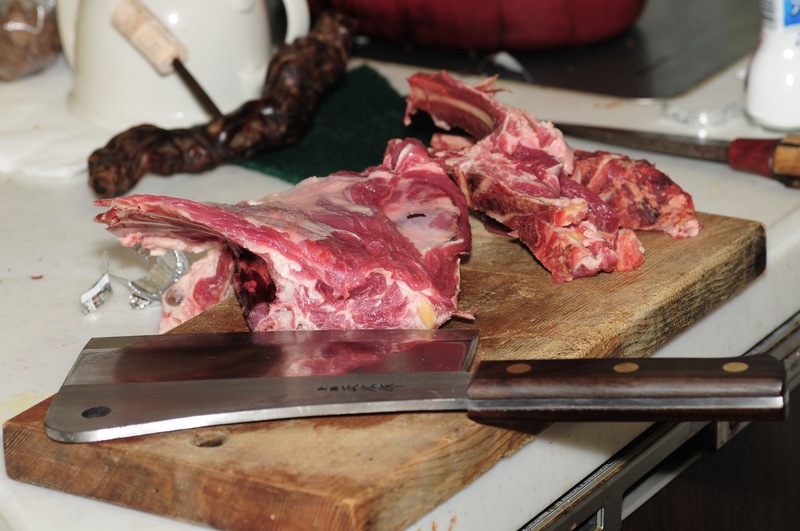 What joy to chop lamb chops.